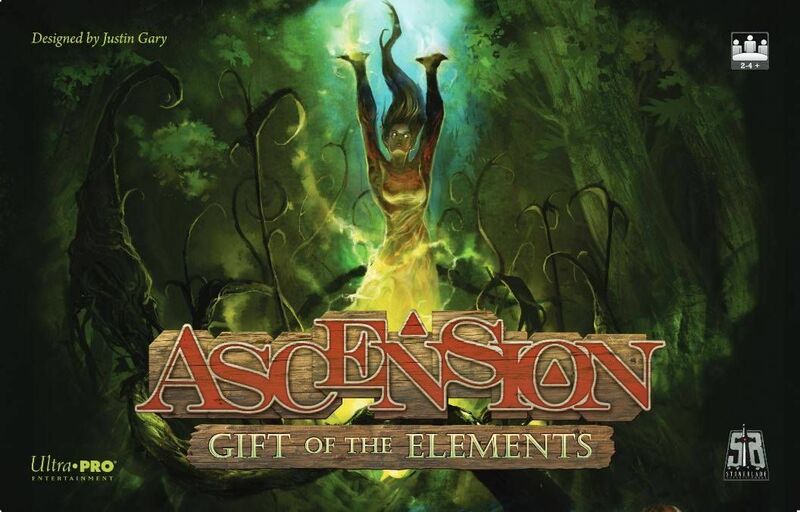 Ascension: Gift of the Elements is the eleventh standalone game in the Ascension series, although the game can be combined with other titles for play with up to six players. This set sees the return of Events from Storm of Souls and Immortal Heroes; Events enter the game via the center deck and create an immediate impact for all players. However, unlike in previous sets, Events can now be acquired and transformed into powerful Hero cards. This set introduces two new mechanisms: infest and empower. Infest allows you to mess with an opponent's deck, forcing them to draw useless cards. This gameplay feature can slow down a player that jumps out early and introduces a strategic element not seen in previous sets. Players can counter this infestation through Empower cards. When the player acquires an Empower card, they may banish a card played that turn (i.e., using the card, then eliminating it). This added flexibility creates a lasting impact in each game.